When I say "shoot," you say "boom!" With first-person shooters often making more of an impact on home consoles, n-Space is working hard to offer DS gamers something that can be enjoyed as well when Call of Duty: Black Ops launches later this year on 9th November. 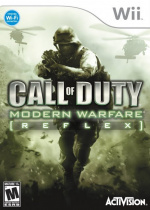 The company previously brought three other titles in the series to the system, including Modern Warfare, Modern Warfare: Mobilized and World at War. Gamers will take on the role of CIA-backed operatives sent out on missions so top secret that that don't officially exist, and they will be able to enjoy them on their own as well as in a unique two-person co-op mode. Other ways to play include Arcade and Challenge, the latter of which gives gamers the opportunity to replay the solo missions to earn extra points and unlock additional achievements. 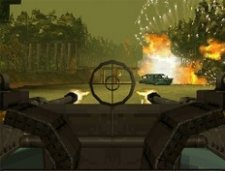 Call of Duty: Black Ops for the Nintendo DS is going to take the handheld Call of Duty experience to a new level. From taking the controls of an attack helicopter to flying an experimental stealth fighter jet, players will have a wealth of new features to utilize. The developers at n-Space recently took part in an interview conducted by IGN, and talking points included the improvements that they have made since last year's Call of Duty: Modern Warfare: Mobilized such as the user interface and brand new button control scheme. 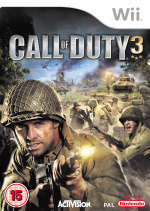 They based these on both the opinions of the developers and the feedback from fans, so if you're waiting for the next instalment of the Call of Duty franchise to deploy on your handheld, make sure you check out the interview in its entirety. Huh, might consider buying this now. 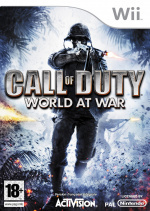 Knowing Trearch is doing the HD console ones, this is gonna wipe out those just like WaW.